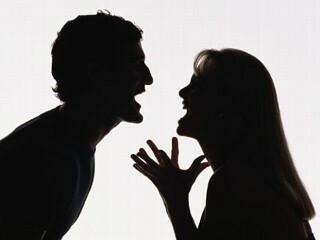 As a pastor I am often asked about verbal abuse. Many are confused on the issue and this is understandable. To be quite honest, I've dealt with countless people who are actually living with abuse and don't realize it or are in denial, while others claim to be verbally abused, and really aren't. Obviously, physical abuse is much more identifiable. In a situation where a person is being physically abused, any leader with their head on straight will advise them to get to safety as soon as possible. Verbal abuse presents a lot of questions. For starters, at what point does something become verbal abuse? How should one respond? When questioned, I have always answered by telling people that this is very case-by-case specific and requires a lot of discernment. I still believe that, and would also like to thank my friend, certified life coach Terri Yarbrough von Wood, for sharing this article. It's really helpful and provides a lot of insight not only to those who may be struggling in troubled abusive marriages, but pastors and counselors who advise them.